A long time ago, I read the first edition of A Project Guide to UX Design. Would the second edition be any different? After pondering this one over for quite some time and convincing myself with some graphs illustrating the pros and cons, I just spontaneously decided to buy it. So now that I’ve finished it, it is time for a review! Authors Russ Unger and Carolyn Chandler updated the first edition with suggestions from readers and new developments in the field. Mobile and gestural design considerations, Lean UX, content strategy and design principles are just a few examples of the many new topics in this second edition. A Project Guide to UX Design is a practical book, introducing UX Design into every stage of a project. It has tons of detailed information on how a UX Designer fits into the work environment, the different task flows for both you and your colleagues, how to collect business requirements, how to conduct user research, how to create and test prototypes and much more. 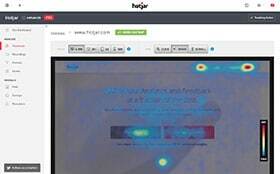 The focus of this book is web-based experiences but many methods can be applied on other interfaces as well. Who should (not) read it? The subtitle of the book, “For User Experience Designers in the Field or in the Making”, is a bit misleading. Anyone with an interest in UX design will find something useful in the book, true enough, but it seems to be more targeted for the latter. Two chapters really jumped out from the pack. One chapter is dedicated to writing proposals, preparing pitches and negotiating contracts. The second chapter is all about meetings. Now, this sound all very interesting, but not what I expected from this book. Just my personal opinion and fair enough to say that you could easily skip these chapters. 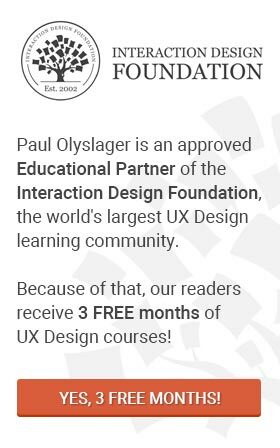 I would classify ‘A Project Guide to UX Design’ as an extensive introduction to User Experience and aspects of Project Management, rather than an UX encyclopedia. If you are looking for an A-Z Bible on UX, you should try The UX Book. 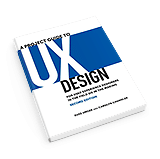 The greatest value of A Project Guide to UX Design – and the real reason why you should buy this – is the practical framework it provides and the detailed information on the business side of UX. If you are new to the UX field, thinking about a career change or would like to know how to integrate UX into a project, you can’t go wrong with this book. The more seasoned UX Designer or experienced product/software developer will probably want to skip this one. If you are looking for a book about UX Design, you should go for ‘The Design for Everyday Things‘ by Donald A Norman and ‘Undercover User Experience Design‘ by Cennydd Bowles and James Box. Little side-note: The first edition, published in 2009, was part of my Must Have UX Book Collection, but has now been exchanged with the second edition. If you’re looking for a fantastic practical guide to help you design user experiences for your next project, it would be “A Project Guide to UX Design”. You have a lot of great insight and a lot of great commentary about the book–and we truly appreciate it! Thanks again–this is a really great write-up, and I’m glad to hear it’s found its place on your shelf. I keep one in my offices, as well, as it frequently helps find some passages to share with others (hence, I think, “in the field” works well!). Hi Russ and thank you for sharing your thoughts! I understand why certain chapters, such as the one about contracts, made it to your book. I was just not expecting those, even if it is a big (and very time consuming) part for any freelancer. I feel that the more experienced freelancers will find this chapter less useful, but then again, they can easily skip these pages. You wrote this book with a broader audience in mind and I think you succeeded just beautifully. Thanks again!